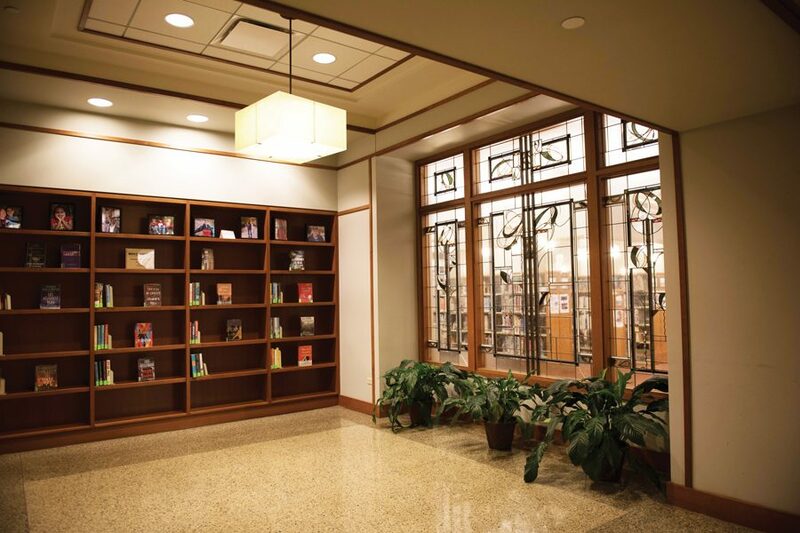 Evanston Public Library, 1703 Orrington Ave. Northwestern will provide $70,000 to pay a social worker at EPL. Evanston residents can walk into the Evanston Public Library and ask to meet with social worker Christina Mendez free of charge, as part of the social work program first instituted in 2017. EPL received support from the 2019 Good Neighbor Fund — an annual $1 million donation from Northwestern to Evanston — to continue to fund the social worker position. Northwestern University President Morton Schapiro and Evanston Mayor Steve Hagerty first allocated $70,000 for the social worker position in 2018. After the success of the program last year, the University extended its support for the social work program through 2019, Hagerty said. “(Residents should) know the city isn’t just transactional in everything we do, but rather cares about lifting everybody up in the community,” said Hagerty. For Mendez, her role in the library and greater Evanston community is to increase accessibility for all residents. Mendez has previously worked in community centers, but never in a library. In 2018, she had 653 appointments with patrons, according to Jill Schacter, EPL’s community engagement director. Shacter said the social worker position is an extension of other resources libraries traditionally provide. She said some families will come from outside of Evanston after hearing about the service. Ten to 15 of Mendez’s patrons check in on a weekly basis, and she said her regular patrons have allowed her to build unique relationships. Mendez also put in 45 hours in 2018 in staff training, teaching them how to interact with homeless patrons, answering their questions and leading seminars to prevent bias. Schacter said EPL is one of the first libraries in the nation to create a social worker position, along with Denver Public Library. She said the EPL director Karen Danczak Lyons had envisioned the program before the Good Neighbor Fund had financed it it. Schacter said Mendez plays an important role as a liaison to other community organizations. In 2018, EPL worked with 28 community partners through the social work program, Schacter said. Schacter described the compassion Mendez demonstrates in her position. One man came into the library in tears, after receiving a letter informing him that his benefits had been cut off. She said one mother came in to work through the difficulties of her child’s substance abuse disorder. “We see all types of people including new immigrants, homeless people, people who are unemployed, people who are struggling with some sort of life event which brings them here looking for advice or some sort of piece of mind, to sit and relax,” said Schacter.